Hammer-wielding Mafia hit men, Russian spies, Racists, shivs, and cigarettes………. Just another Friday night in Cell Black A! You’re in a maximum security prison for international criminals, and gangs run the show. There are no “Get Out of Jail Free” cards here…..
You’re just hoping to not get out of jail DEAD! The game itself takes about 2 hours to play. Its broken down into 20 minute rounds that begin and end with all characters in their respective cells. You may ally with other gangs in an effort to take down a competitor, but don’t trust them. They may be coming for you next! 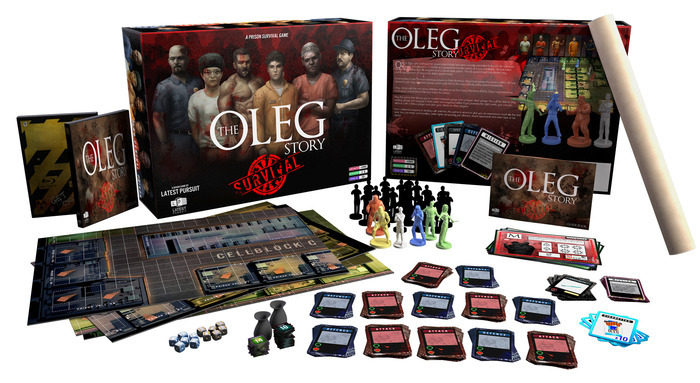 The production for The Oleg Story is mostly complete, and it looks great! 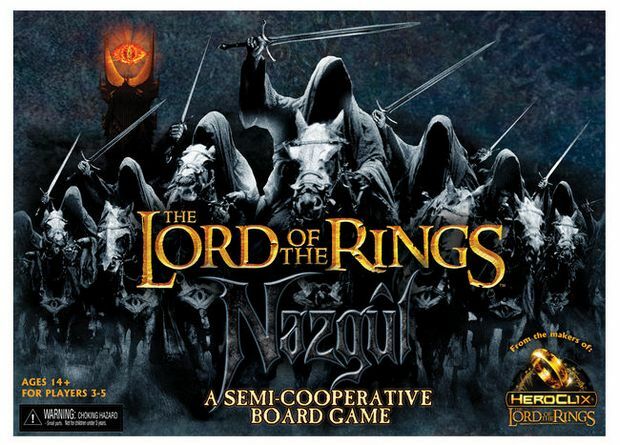 All items have a high production value and the game is complete but for a print run. That’s where we come in. 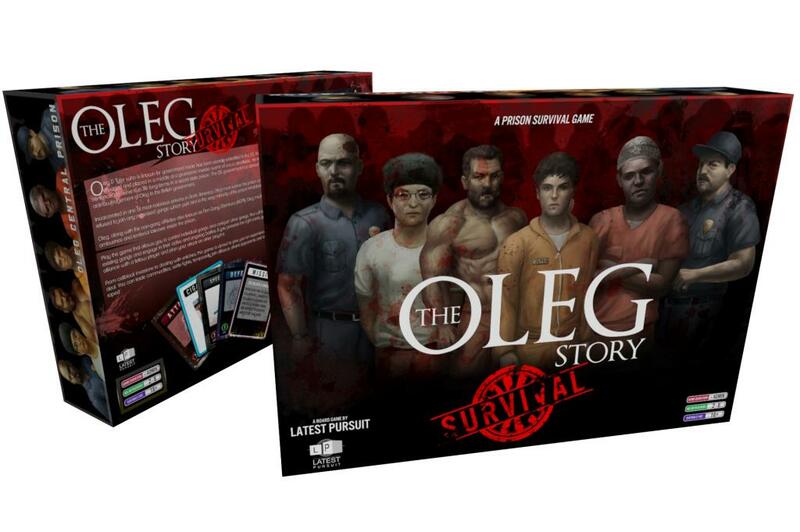 The Oleg Story: Survival is on Kickstarter now. With a campaign that includes DVDs, more gangs, custom miniatures, and more, this is definitely one prison I want in on! 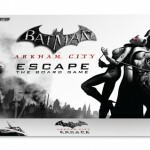 Tagged with: Board games, game reviews, news! One of the sincere joys of being a consummate gamer with a semi-serious friend addiction is the opporunity to check out new games… which will invariably happen even more after Santa has his way with me next week. 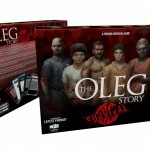 So… with all the holiday gift-giving going on – amidst my personal convictions that games are absolutely the most the brilliant sort of gift, since they invariably have the potential to please a small crowd of participant upon any given occasion - I thought I’d discuss one of the newest board game offerings on the market this holiday season. This week’s delightful selection is a game concocted by the slightly unhinged scientists over at Cheapass Games and produced by Paizo Publishing entitled Save Doctor Lucky, and when the shiny new game box appeared on our table at this week’s session I found myself rubbing my hands together in wicked glee. If you know why, then you probably would have had a similar reaction; if you don’t, well… allow me to enlighten you. Save Doctor Lucky is actually a prequel to the ardently unapologetic murderfest Kill Doctor Lucky, originally released in ’96. 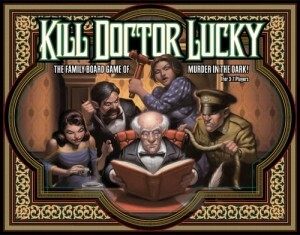 The original game casts the players as villainous guests of the aptly dubbed Doctor Lucky, who seems to slip out of harm’s way time and time again as the players maneuver to get him alone in his sprawling mansion and do him in, often with a weapon card of some sort. Players can move themselves and the good doctor around the board with special movement cards and thwart each other’s attempts with the use of failure cards, which are expertly characterized by hilarious flavor text. The pace of the game is set by the acquisition of spite tokens with every failure, each of which later adds the attack value of a murder attempt and can even be handed across the board as failure currency. 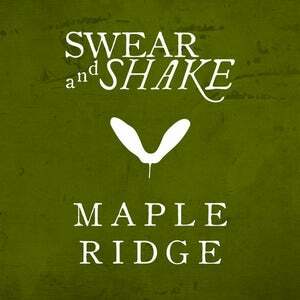 All in all, it’s a deliciously spiteful romp that leaves the table in stitches as the tension ratchets. 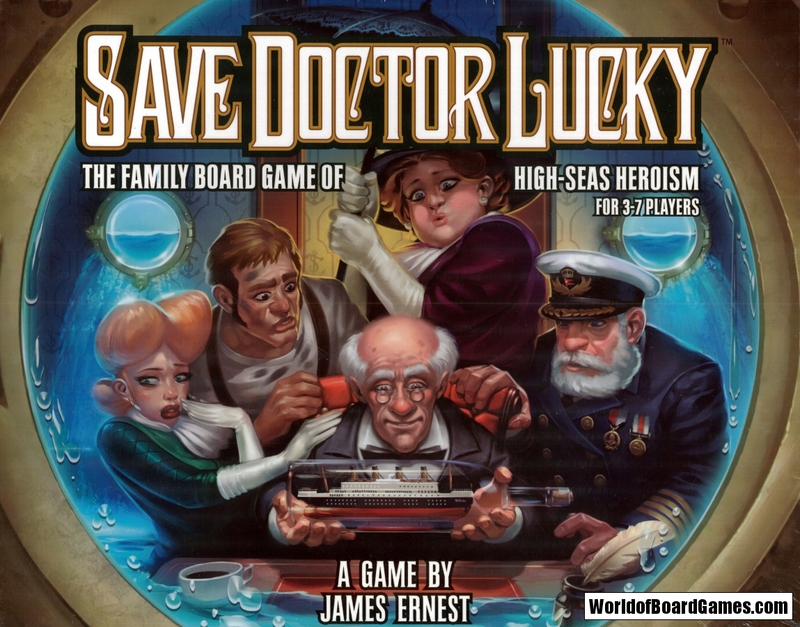 Save Doctor Lucky manages to reproduce the original game’s brilliantly simple rule system with a couple of twists. In this game, the mansion is replaced by a sinking cruise ship that recently struck an iceberg and the players are trying to earn personal glory by being the one to save the old coot from going down with the ship. 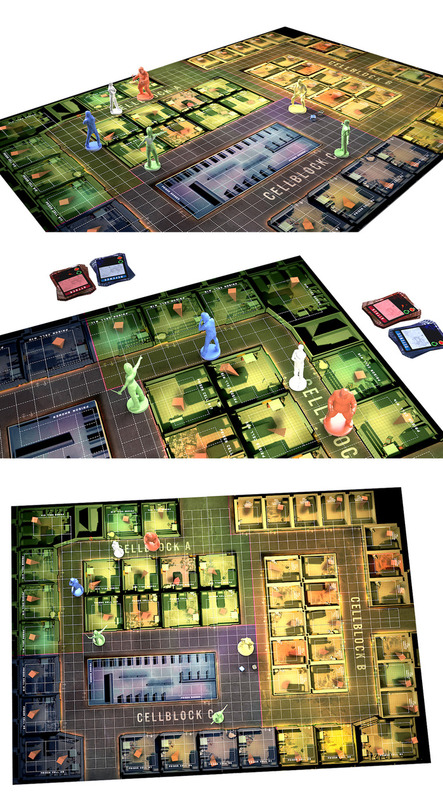 Whereas in the first game the players are trying to get Doctor Lucky alone, in this one they can only attempt a rescue if one of the other players has line of sight. The reversal is fairly entertaining and is made more challenging by the implimentation of four distinct decks of the ship laid out on four narrow game boards laid side by side. Players still use movement and failure cards, but weapons are replaced by aid cards that increase the value of a given save attempt. Though entertaining, the game fails to engage at the level of its predecessor on three counts. First, the flavor text is simply not as funny. There is some humor there, but not much of the laugh-out-loud variety, although there is a cool little puzzle woven into a number of the failure cards. Secondly, the mechanism to limit the duration of play and amp up the tension is built into the sinking of the ship, which is implimented quite well but simply doesn’t have the hands-on flavor of the spite tokens thrown around in Kill Doctor Lucky. And finally, speaking of flavor, the feel of the game just isn’t as gratuitous. There’s something about trying to throttle the old man when no one is looking that adds an insidious degree of fun to the proceedings; trying to get your name in the papers as the old man’s rescuer lacks the same bite. That being said, the game is still a lot of fun. The rules are easy, and it makes a great family game. If you’re a fan of the original game, I would definitely suggest giving a try… at only $30 on Paizo’s site, it’s a great value for a fun and really quite attractive game. If you’ve never engaged Doctor Lucky before, however, I have to insist that you invest in its predecessor. It’s just good, clean fun.